People love the FLEUR DE LIS Fire Pit! 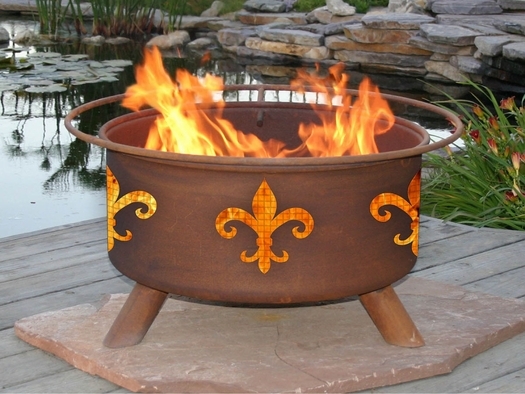 Whether you are a certain football fan or just love the style of the "fleur de lis"....Get Fired Up with our Beautifully Crafted Fire Pit with a Never-Paint, Rust Patina finish. A great accent to any patio or backyard! The Fleur De Lis Fire Pit is equipped with a barbeque grill essential for grilling out with friends. A great addition to any backyard! • Product Dimensions: 30"L x 30"W x 16"H, 50 lbs.